RAPID CITY, S.D. - World War II veterans were honored at an annual luncheon in Rapid City Tuesday. Now in it's 5th annual year, the luncheon is the one of the biggest gatherings of World War II veterans in West River South Dakota. 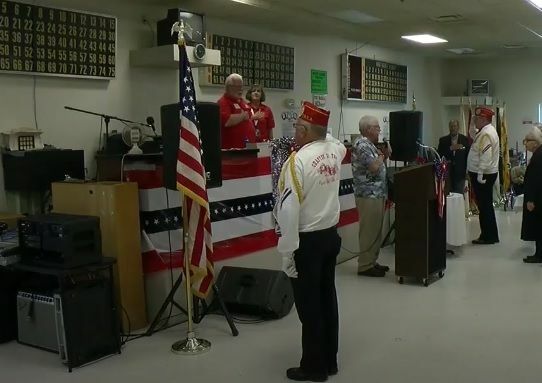 Held at The Retired Enlisted Association building, around 80 veterans attended including the state's last remaining Pearl Harbor survivor. The luncheon was a picnic style meal with entertainment was provided; as well as ice cream donated from Armadillos. Rapid City Alderman Ritchie Nordstrom and Gen. Marshall Michels, the Army chief of staff for South Dakota Air National Guard, both gave official welcoming speeches. The luncheon not only honors the veterans, but encourages them to continue to share their stories and experiences. The State Secretary of Veteran's Affairs Larry Zimmerman presented each of the veterans or their representatives with a special South Dakota WW II Commemorative Medal.